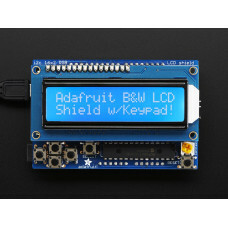 This is a very popular LCD Keypad shield for Arduino and other variants. 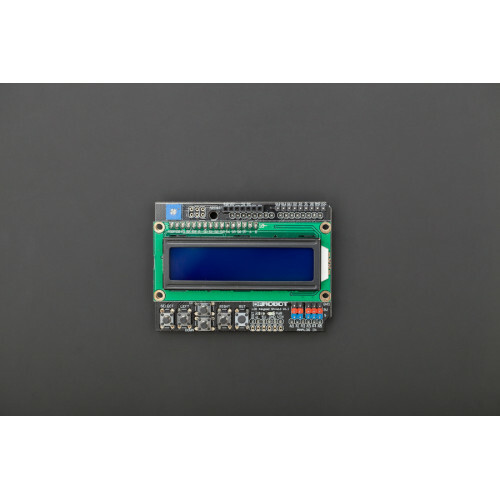 It includes a 2x16 LCD display and 6 momentary push buttons. 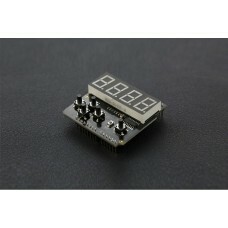 Pins 4, 5, 6, 7, 8, 9 and 10 are used to interface with the LCD. Just one Analog Pin 0 is used to read the five pushbuttons. 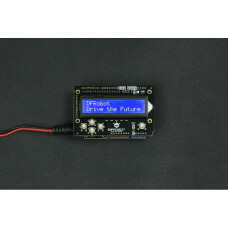 The LCD shield supports contrast adjustment and back-lit on/off functions. 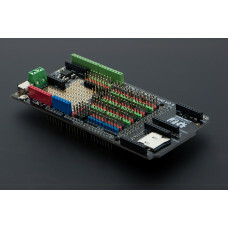 It also exposes five analog pins with DFRobot color code for easy analog sensor plugging and display. The on board LED indicates power on. 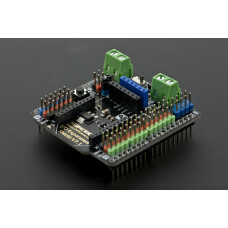 This design is great since easily lets you keep connecting sensors to the rest of the pins, and use it for monitoring or menu selection with the push buttons even for gaming. Often project applications require testing or debugging. Displaying information right away help on most occasions when a computer is not at reach. If you are planning to build something not attached to a computer and you need to check what is going on when you place it on position, this addition will prove very valuable to make sure the program is running well. 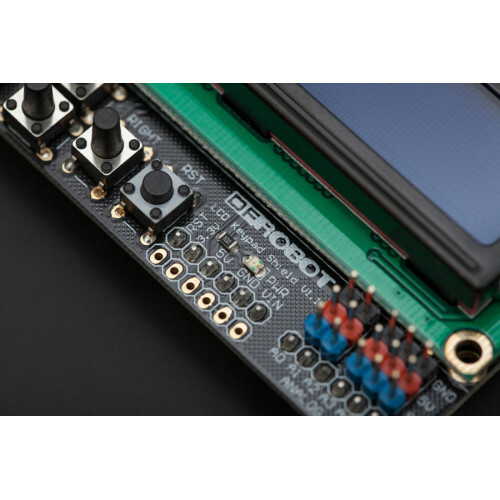 The used LCD pins are not exposed on top side of the board leaving only the unused ones. 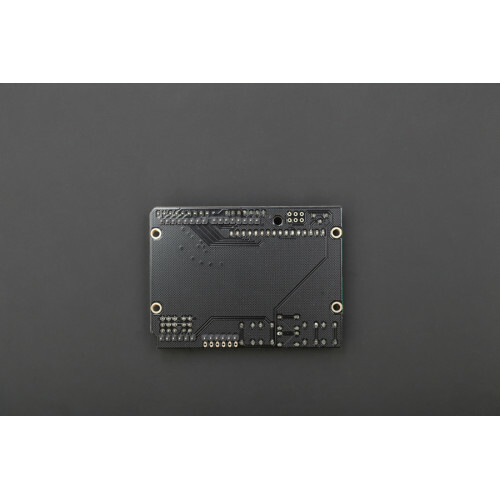 This way, conflict with LCD pins on top of the board will not happen anymore. 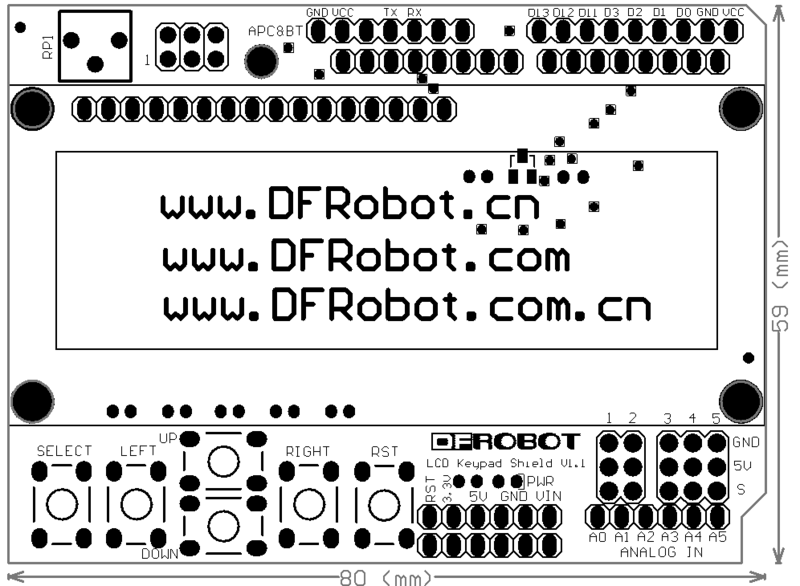 This design includes a APC / Bluetooth v3 socket to enable you data transmission with your robot. 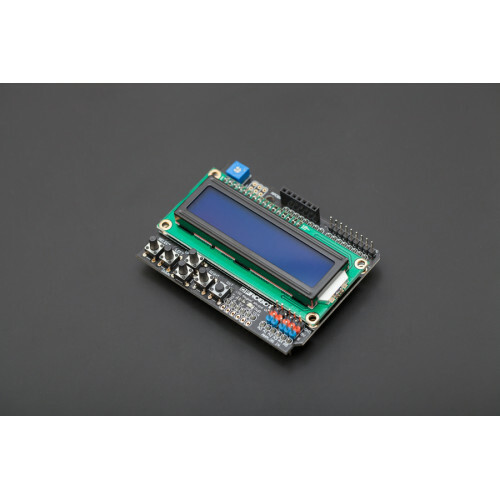 The LED Keypad Shield is an Arduino expansion shield with a 4 digit 8 segment digital tube display (..